The Combo Box block lets you set the value of a parameter to one of several values. You can define each selectable value and its label through the Combo Box block parameters. 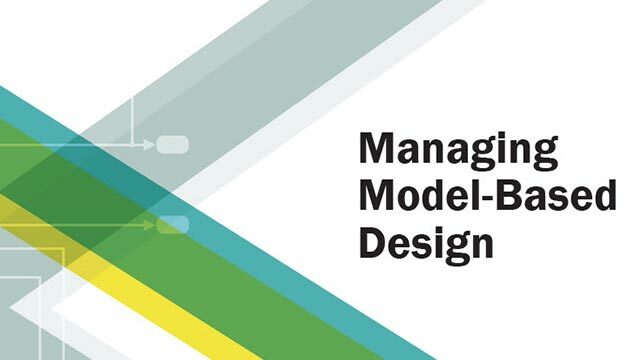 Use the Combo Box block with other Dashboard blocks to build an interactive dashboard of controls and indicators for your model. Double-clicking the Combo Box block does not open its dialog box during simulation and when the block is selected. To edit the block's parameters, you can use the Property Inspector, or you can right-click the block and select Block Parameters from the context menu. Set of states from which to select a value for the connected parameter. Each State consists of a State Value and a State Label. State Value — Value assigned to the connected variable or parameter when you select the state with the corresponding Label. State Label — Label for each state. 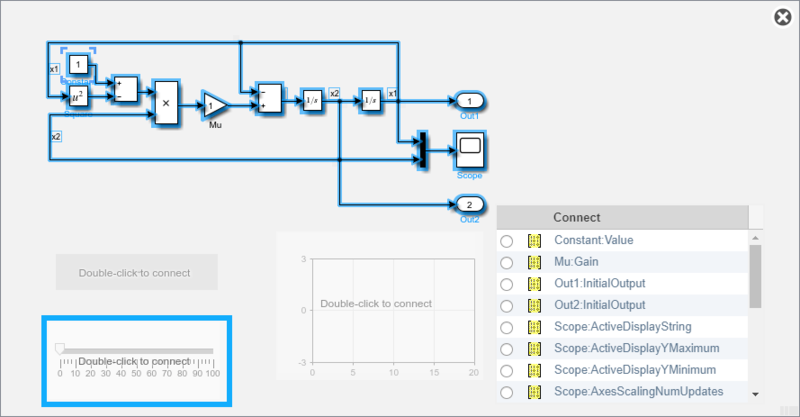 You can use the Label to display the value the connected parameter takes when the switch is positioned at the bottom, or you can enter a descriptive text label. Click the + button to add additional States. The default configuration for the block includes these States. To programmatically configure the States for a block, use an array of structures containing the fields Value and Label. Include a structure in the array for each state you want to configure on the block. 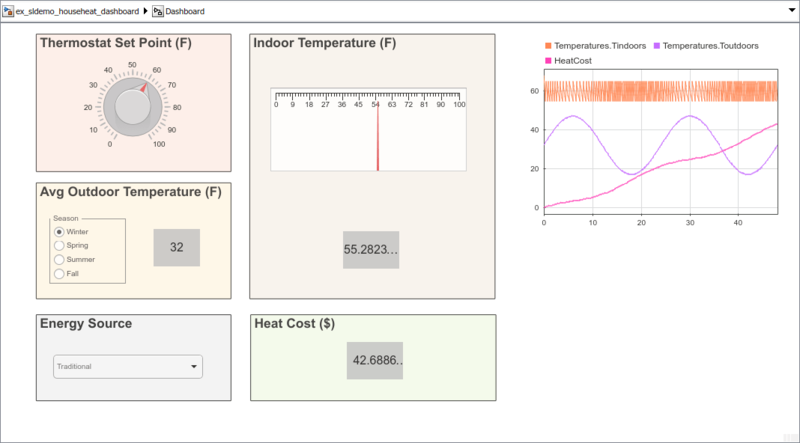 Use Dashboard blocks to configure and then interactively simulate a thermal model of a house.